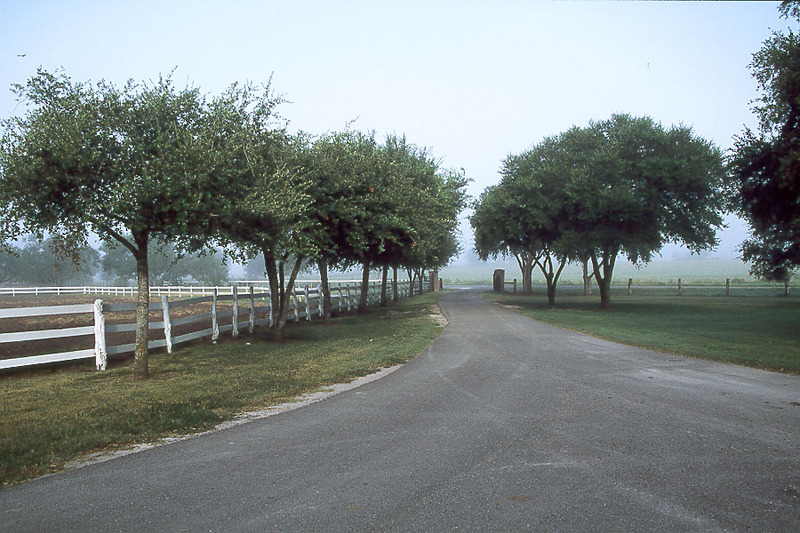 Hundreds of sprawling acres of Texas ranchland, dotted with fat cattle is home to Knolle Farm & Ranch, with our headquarters being the hub of daily life. Surrounded by graceful white fences, and spread over acres of lush, manicured grounds, is a compound of historic structures, a huge white barn, gardens, an olive orchard, playground, pool, fishing lake, event and dining facilities, and the most enchanting little country chapel! This character-filled blend of B&B guest accommodations, event facilities, and lots of “play-room” for all ages, fuses history, nature, and whimsy, into an authentic classic elegance, set in uncommon serenity. With the breathtaking view of the valley and lake below, guests are encouraged to wander, explore, and stroll the grounds and trails, of this hidden jewel… so far away, yet, so close to all. Welcoming guests from all parts of the country, and a very warm and special “Welcome to Winter Texans” and those from outside our great United States. Come and discover South Texas hospitality at its best! 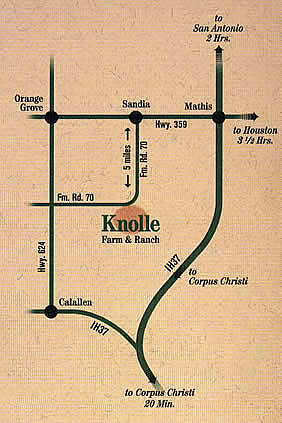 When joining us at Knolle Farm & Ranch, please give us a call to let us know when to expect you. We like to be here to welcome you, and introduce you to our home and staff. My husband, Steve, myself, or one of my housekeepers, will be here to greet you. Check in time is normally 3:00 PM. If you need an early arrival, please let us know; we will try to facilitate you. For directions to our South Texas B&B ranch near Corpus Christi, TX, please see below. We look forward to seeing you! Take IH 37 North until you come to the IH77 exit. Follow 77 to the left, over the freeway, then take an immediate exit to the right. (There will be a Whataburger, Wal Mart, etc. there.) At the light turn right onto Fm Rd 624. Follow 624W until you come to Fm Rd 70. Turn right onto Fm Rd 70, and go about 4 miles until you see the big white barn, long red brick house, and white fences, on your right. Enter through brick pillars, and go to red brick house to check in. WELCOME!